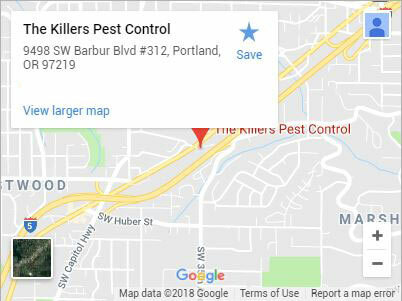 Make The Killers your first choice for a thorough exterminator in Wilsonville. Residents in Wilsonville have known where to go for a top-notch exterminator for more than 30 years. Our company was founded on a set of principals that put the customer first. With the goal of every job to be nothing less than complete extermination, we’ve gained a reputation for thoroughness while providing a comprehensive pest solution. An excellent exterminator must possess a number of qualities in order to provide you with the best extermination services. We make sure every single exterminator we hire meets strict criteria when it comes to their skill sets and experience. It’s just one of the ways we manage to guarantee the quality of our work year after year. Always look for these in an exterminator, because we do. Knowledge – Knowledge is the foundation of a great exterminator. 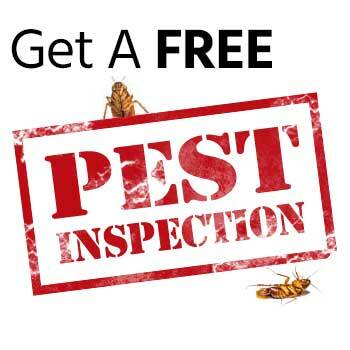 Extensive training provides an exterminator with the ability to identify pests in the field, knowing exactly what signs to look for, where to look, as well as what questions to ask a property owner regarding their experience with the pest. Knowing where pests enter provides the exterminator with the ability to seal these entry points. Our exterminators also know what environmental factors can lead to an infestation both inside and outside your property, and will notify you so that it can be fixed. Experience – Experience is what molds general knowledge into a true specialization, and each one of our exterminators is an extermination specialist. They can tell the subtle differences between species, knowing where in a property is most appealing for pests to reside. Having performed hundreds of exterminations in Wilsonville, your exterminator knows how and when to use various treatments to provide the greatest effect in the shortest amount of time. Pests are more than an inconvenience, and we’ll always work to rid you of them as fast as possible. 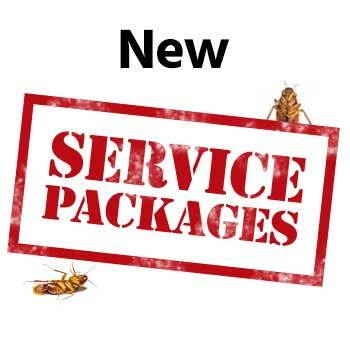 Expertise – Expertise set our exterminators apart. 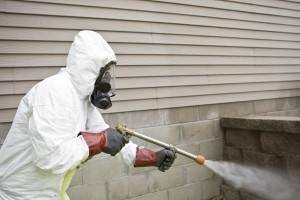 Your exterminator will provide you with a complete elimination plan. Every plan is tailored to your unique property and situation. 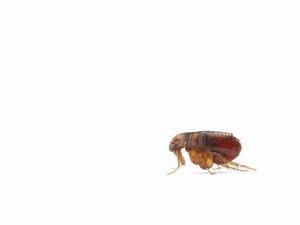 A residential exterminator will inquire about family, pets, and room use in order to leave the smallest footprint possible. A commercial exterminator will take business flow and hours into account, doing everything in their power to disrupt the work environment as little as possible. When you need a professional expert exterminator in Wilsonville, call (503) 885-2666 or contact us today for the exterminator Wilsonville knows and trusts. Wilsonville is south of Portland and is a great place for those looking for a quiet family oriented city. Nestled in the heart of Oregon’s wine country, Wilsonville gives wine aficionados a lot to love. The Wilsonville Public Library is a great place to learn about the fantastic growing conditions provided by the Willamette Valley. The newly opened World of Speed auto museum is one of the most exciting new activities for Wilsonville citizens. With more than 100 automobiles on display, many of which visitors can touch and get inside of, this museum also has a number of classes on automobile related activities like welding and auto painting. Albany, Beaverton, Canby, Clackamas, Corvallis, Gresham, Lake Oswego, Lincoln City, McMinnville, Milwaukie, Newberg, Newport, Oregon City, Portland, Salem, Sherwood, Tualatin, Vancouver WA, West Linn, Woodburn and more!